It's been a long and varied journey for the Liverpudlian death doom turned prog rock outfit. Over twenty years ago they unleashed the uncompromising 'Serenades' and quickly followed it with a string of classic and varied albums in the forms of 'The Silent Enigma', 'Hope', 'Alternative 4' and 'A Fine Day To Exit'. Then there was that seven year gap that saw a question mark over the bands future. But since 2010's 'We're Here Because We're Here' the band look to be reinvigorated as they've kept up with the new albums. What the band now lack in ferocity, they more than make up for in sheer sonic bliss. The guitars still get a little heavy from time-to-time, but the formula remains in keeping with the standard set over the past few albums. This is evident in the big atmospheric rock of the album's opener 'The Lost Song, Part 1', which is immediately counterpointed by the delicate piano and string led sequel that follows. 'Dusk (Dark Is Descending)' reaches back towards albums such as 'A Fine Day To Exit' for it's slightly darker and desperate atmosphere but the momentum is blocked with another delicate track following it in the form of 'Ariel', which is utterly stunning and does build into a great track, but does serve to give the album a bit of a “stop and start” feel. This pattern is continued through the next tracks 'The Lost Song, Part 3', 'Anathema'. However just as you think you have this album figured out the band throw a serious curve ball with 'You're Not Alone' and it's light intro permeated by a drum 'n' bass percussion track that eventually erupts into some crazy rock. 'Firelight' then breaks out the organ for a classic Anathema instrumental interlude that harks back to the first few albums. The title track then once again blends that light ambient organ with a glitchy and frenetic rhythm that recalls Enigma as the vocals and piano come in. This is carried on into the final track 'Take Shelter', which builds from quiet to loud and room filling in vintage Anathema fashion to close the album in a suitable way. 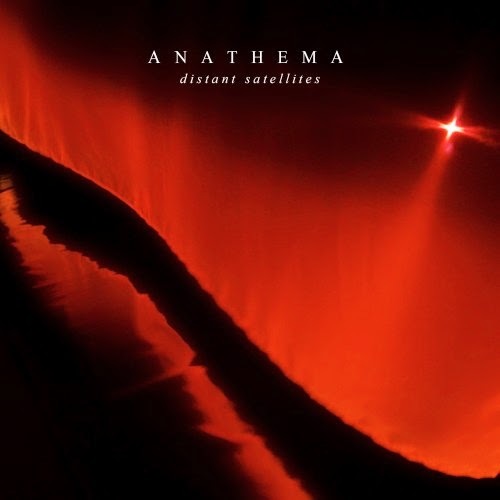 As you'd expect from a veteran act like Anathema, the songs here are beautifully well-written, performed impeccably and the whole album gets the kind of top-shelf production and mixing job that most bands and artists can only dream of. The strange arrangement of the first few songs, with their up-tempo then down-tempo pattern repeating itself notwithstanding, this is a solid offering from the veterans that will please new and old fans alike and prove that they can still innovate their sound twenty years on.